Time and time again, Boracay has proven that not only it is a top tourist destination for its gorgeous sceneries, but it also has stepped up to be one of the legit food destinations in the Philippines. And given the variety of visitors it attracts each year, it’s imperative that the culinary offerings in the island be diverse. In the gastropub department, one gem that’s tucked in Sitio Bulabog has been making waves for its excellent selection of food and beverage and its distinctive branding. 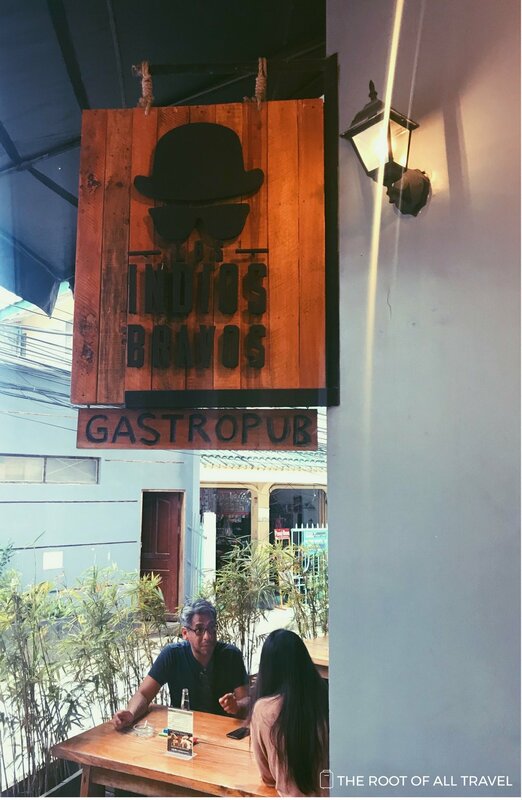 Opened in November 2014, Los Indios Bravos offers a wide selection of international gastropub essentials targeting primarily the island visitors. But locals should not fret just yet, as there is surely something for everyone. As soon as you step in the restaurant, you will immediately notice the vintage Filipino vibe from the wood-adorned walls and several imageries from the colonial Philippines. 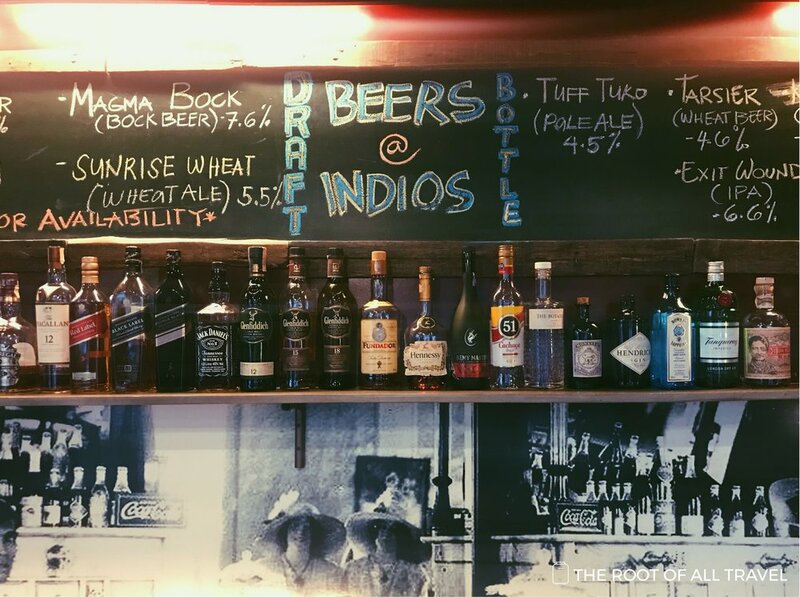 One cannot deny the attention put on the details in the creation of the pub as even to their menu, you will surely get that La Solidaridad feels. Though the pub channels a local Filipino charm, the menu leans more toward an international mix of flavor that will take you around the world. 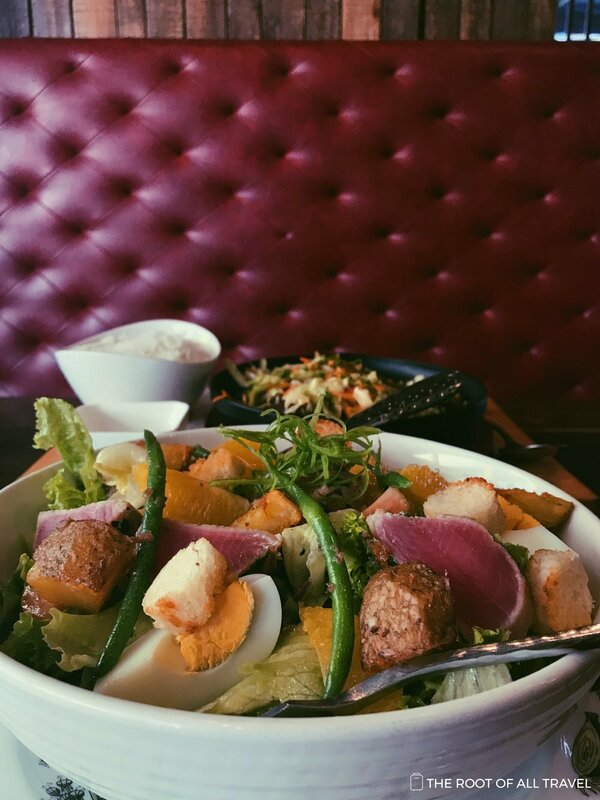 You can start your gastronomic sojourn with Indian cuisine with their best-selling Chicken Tikka or something European with – a new personal favorite – the Tuna Nicoise Salad. For those looking for the distinct Greek flavor, their Chicken Souvlaki could be your best bet. The restaurant offers a wide range of selections from the ranch to the reefs. You can go for the flavorful Salt and Pepper Angus Beef. If you’re in with a bigger appetite, you surely won’t go wrong with what their most known for – the Dino Bones. You and your company can feast on the humungous beef back ribs topped with hickory smoked BBQ sauce. And what is a trip to the island without sampling on the fruits of the sea? Dig in on one of their best-sellers, the Seafood Platter “Fruits de Mer”. An unassuming restaurant by day, Los Indios Bravos turns into this energetic hangout place perfect to end a day on the island. They are proud to be the first place to feature all-Filipino handcrafted beers on tap. And of course, no gastropub is complete without a good selection of pub pies. Any time of day, any season of the year, you’ll be in good company at Los Indios Bravos Boracay. They are open daily from 10AM to 11PM. For more information, visit their website here. Need transportation to Boracay? I recommend booking with Island Star Express for a seamless transfer to and from either Caticlan Airport or Kalibo Airport. Reserve a ride here. I was kindly hosted by Los Indios Bravos Boracay to complimentary a la carte lunch. My airport transfer with Island Star Express was complimentary, as well. All opinions are my own.